Today is…National Peanut Butter Day! Before you leave in a rage, know this is the last “National Food Day” post I’ll give you in awhile. And this recipe may barely suffice for peanut butter day. 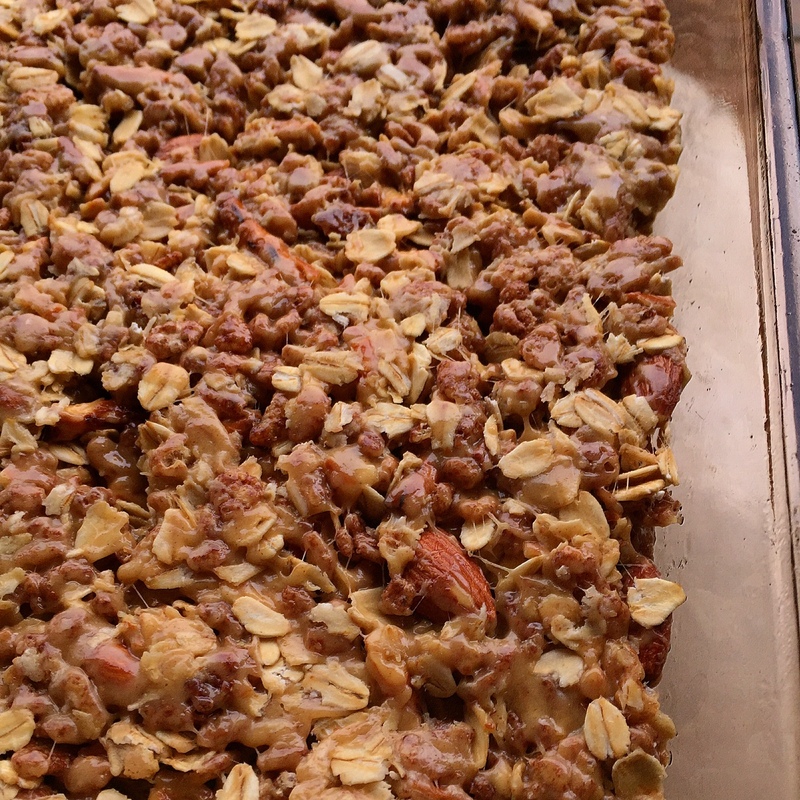 While there is peanut butter in these snack bars, there are tons of other delicious ingredients too – pretzels, almonds, rolled oats, marshmallows, chocolate rice cereal…These bars come together so well you can’t really say peanut butter is the star…All of the ingredients compliment each other. These are like rice crispy treats on crack. Or I guess you could say an even better version of the classic no-bake cookie. 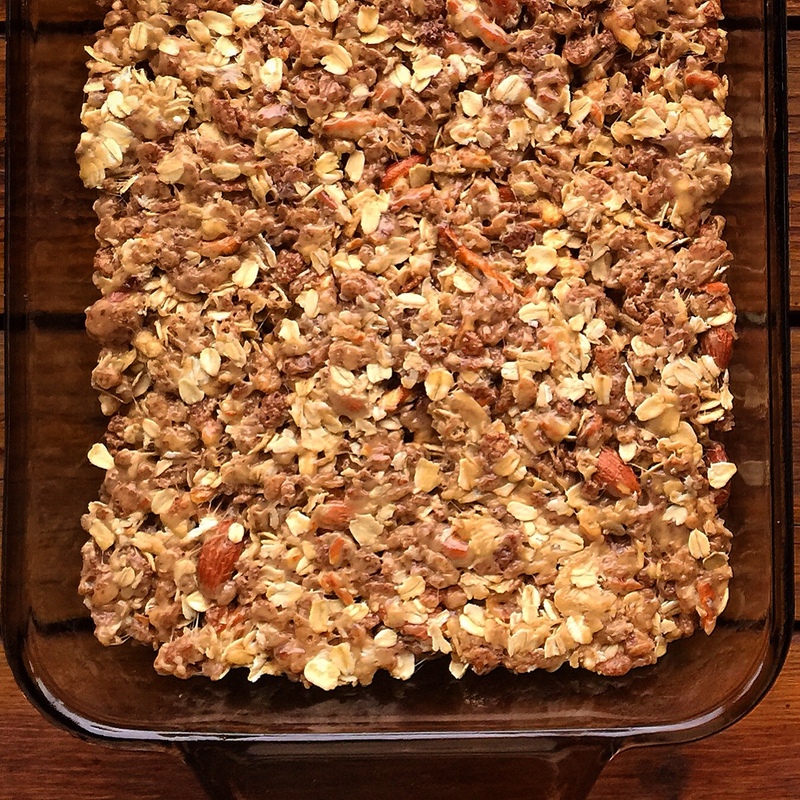 I found the original recipe in Cooking Light, and they call them Snack Bars so you can almost justify that they are totally healthy! 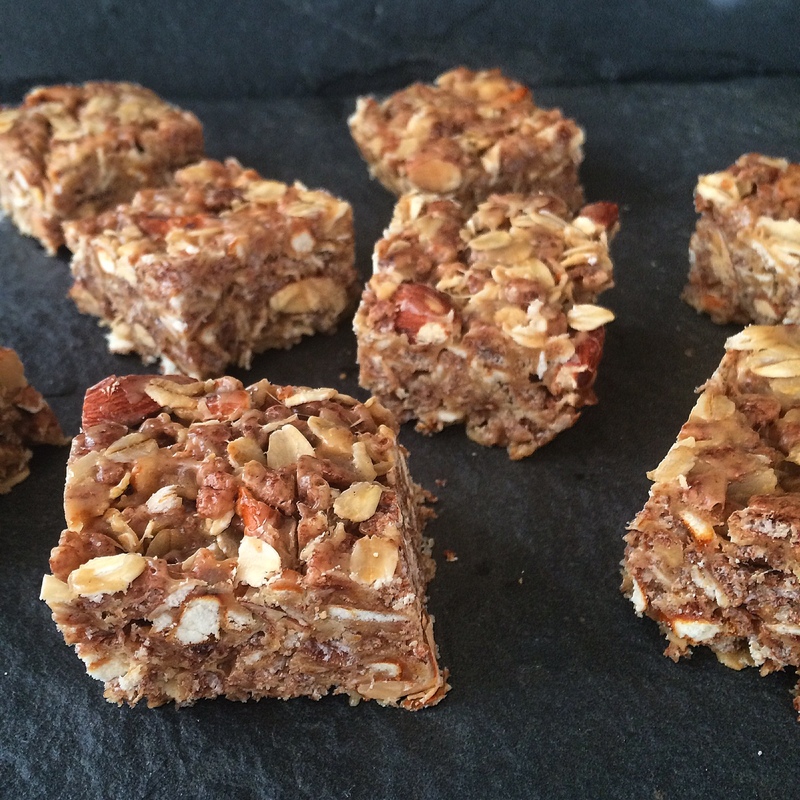 One of the ingredients is rolled oats! But of course, I added a little bit more butter and used Cocoa Krispies instead of “chocolate oat” cereal. Peanut Butter, Marshmallows, Chocolate Cereal, Almonds, Oats, and Pretzels. The only question here is why didn’t I make these sooner, and how does nobody else know about them? 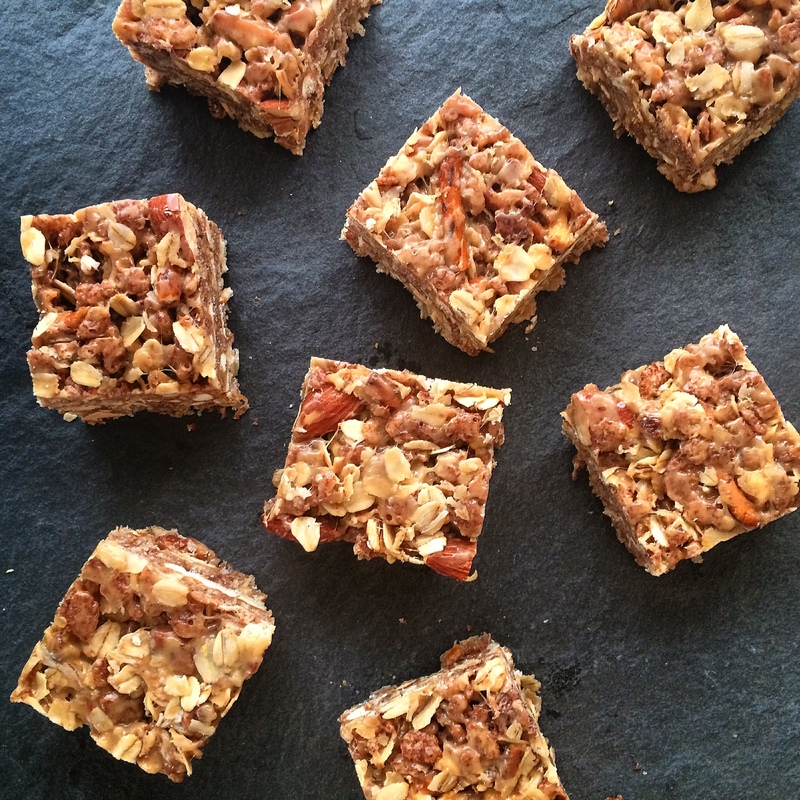 Snack bars for the WIN! Melt butter in a large saucepan over medium heat. Add marshmallows and peanut butter; cook 3 minutes or until smooth, stirring constantly. Remove mixture from heat; stir in cereal and next 4 ingredients (through salt). Working quickly, spread mixture in an 8-inch square metal baking pan coated with cooking spray. Using a wet spoon, spread mixture into an even 1-inch layer; let stand 1 hour or until set. Cut into 16 squares. I want these in my mouth right now. Do you deliver?